and sometime actor, Robert Montgomery Presents TV series; 1952–60—media consultant to President Eisenhower. Died: In New York City, 27 September 1981. Open Letter from a Television Viewer , New York, 1968. Reynolds, Quentin, "Man with a Union Card," in Collier's (New York), 1 April 1939. Current Biography 1948 , New York, 1948. Bodeen, DeWitt, "Robert Montgomery," in Films in Review (New York), February 1981. Obituary, in New York Times , 28 September 1981. Blake, J.C., "Robert Montgomery," in Film Dope (Nottingham), March 1990. Mangravite, Andrew, "Republican Noir," in Film Comment (New York), January/February 1994. 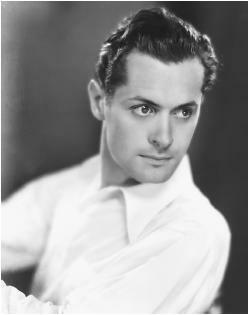 Robert Montgomery's career is unique. He achieved success as actor and director in film, television, theater, and radio, and also gained considerable recognition in politics. In addition, he started what might be seen as a media dynasty by fathering a bona fide second generation star, his daughter, Elizabeth. The arrival of sound to motion pictures brought many young men like Montgomery to Hollywood—men of good looks, polish, and enough stage experience to deliver dialogue well. After being placed under contract to MGM, Montgomery became a "tennis, anyone?" leading man for that studio's stable of beautiful actresses. His apprentice years found him supporting Norma Shearer ( The Divorcee , Riptide ), Joan Crawford ( Our Blushing Brides , Letty Lynton ), Marion Davies ( Blondie of the Follies ), and Greta Garbo ( Inspiration ), among others. Montgomery, however, was too intelligent and too versatile to be typecast with the limited range such roles afforded him. He undertook such parts as the frightened prison squealer in the key genre film, The Big House , as well as that of a homicidal maniac with a civilized veneer in Night Must Fall , a role which earned him an Oscar nomination. As a result of his own initiative, there were many Robert Montgomerys on screen—the arch comedian, the dapper cad, the crazy killer, the hard-boiled detective, the noble war hero. He was not one persona, but many. Montgomery with also not content to be an idle screen actor in his private life. Always rebellious, he is said to have told Louis B. Mayer, when refused a deserved salary increase, "If you were a younger man, Mr. Mayer, I'd give you a beating." In 1933 he helped organize the Screen Actors Guild, and served four terms as its president. He proved an effective negotiator for better working conditions, higher pay, and steadier work for bit players. During World War II he saw action in PT boat service, an experience he used in John Ford's They Were Expendable , part of which he actually directed himself. He earned a Bronze Star for his destroyer service on D-Day. After the war Montgomery turned to directing as well as acting. His most famous film is Lady in the Lake , in which he experimented with "first-person camera," allowing the camera to serve as the actual eyes of the leading character, Raymond Chandler's private-eye Philip Marlowe (played by Montgomery himself). This film, an experiment in the subjective point of view, stands as a landmark. Montgomery became executive producer-director-advisor to NBC, and created one of television's first anthology series, Robert Montgomery Presents . On stage, he directed The Desperate Hours , earning a Tony Award. Having been active in politics since his early days with SAG, he undertook the prestigious job as media adviser to President Eisenhower, a man he greatly admired. His book, Open Letter from a Television Viewer , denounced the networks as insisting on "fairy tales for grown-up children," and was ahead of its time in defining the media wasteland. Montgomery was not only successful in four media, a capable director, an innovative producer, and a versatile actor, he was ahead of his own time in being an actor who understood that politicians would have to become masters of the media to win. He was in many ways a visionary and an experimentalist, but in all ways a man of intelligence.